Resource prices, and petroleum prices in particular, are volatile and difficult to predict, so government revenue in resource-producing regions is also uncertain and volatile. Adjusting government expenditure in response to these revenue movements involves economic, social and political costs. Many jurisdictions have established rule-based revenue stabilization funds to address revenue volatility, but there is little evidence on whether these funds improve welfare or if some fund designs increase welfare more than others. Using Monte Carlo techniques, we provide a quantitative welfare comparison of several types of rule-based stabilization funds for a petroleum-producing jurisdiction. We find large potential gains from the use of a fund to stabilize revenue, but some fund types reduce welfare, particularly those that accumulate large stocks of assets or debt. A fund that performs well, and is generally robust to changes in the simulation parameters, has a fixed deposit rate out of resource revenue and a fixed withdrawal rate out of assets. EJ - Should Developing Countries Establish Petroleum Funds? 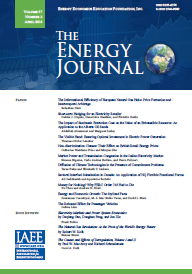 Published in Volume 36, Number 2 of The Quarterly Journal of the IAEE's Energy Economics Education Foundation.